Are you having a boring Sunday? Well if you do, then we bring you something interesting to see. 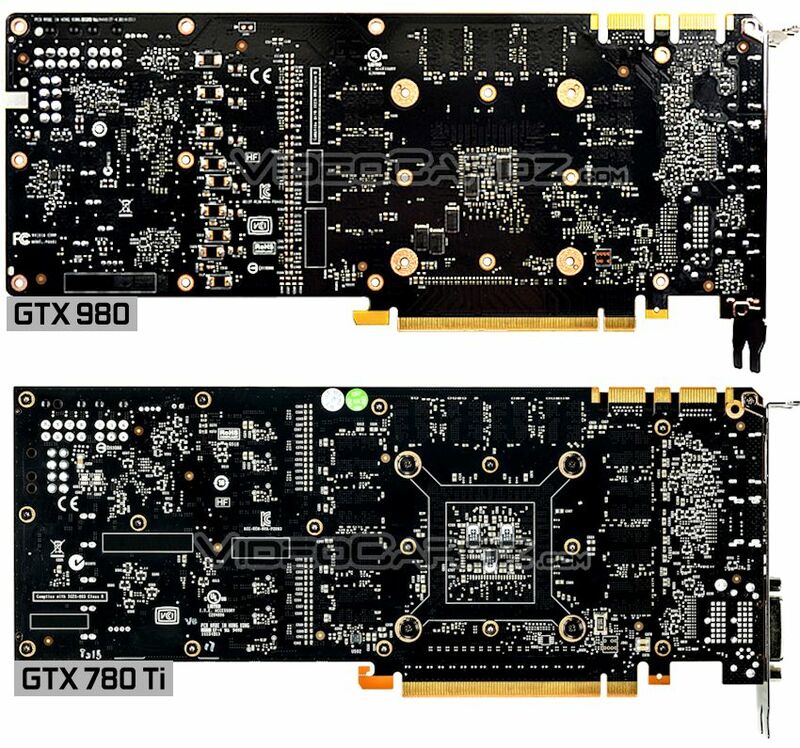 What you’re looking at is the new GeForce GTX 980. Today we are solely looking at the design. Specifications will be covered in our next post. 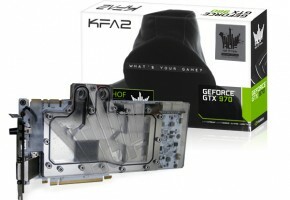 NVIDIA GeForce GTX 980 has been a mystery until now. 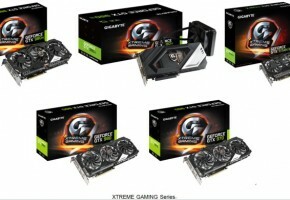 The new flagship will adopt GeForce GTX TITAN/780/780Ti cooling solution. It is a blower type cooler capable of dissipating 250W of power. This time it will only have to deal with 180 Watts, leaving plenty of headroom for overclocking. Now let’s take closer look at the card. First up, there are some cosmetic changes, like the one below. 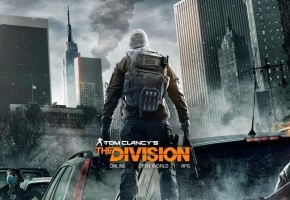 However the biggest improvement can be seen on the back. 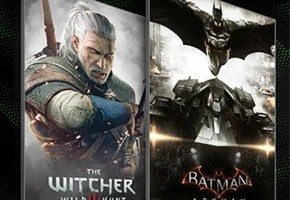 NVIDIA has adopted TITAN Z backplate for its new flagship. There is a removable part over power connectors. We do not know why yet. 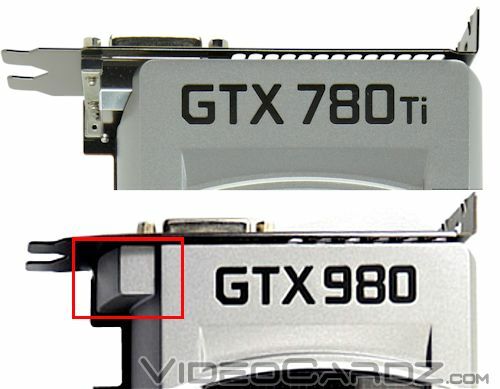 GeForce GTX 980 has two 6pin power connectors. There is a space for another 8pin connector, but we are more than sure it is not necessary. 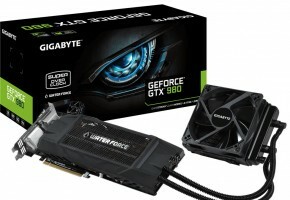 It is said that GeForce GTX 980 will require only 180W, so PCI-E interface and two 6-pin connectors are more than enough. The memory layout has of course changed, as we have modules with higher capacity. This particular sample is using Samsung K4G41325FC-HC28 4Gb (128Mx32) modules. What pictures do not show is the new display output configuration. 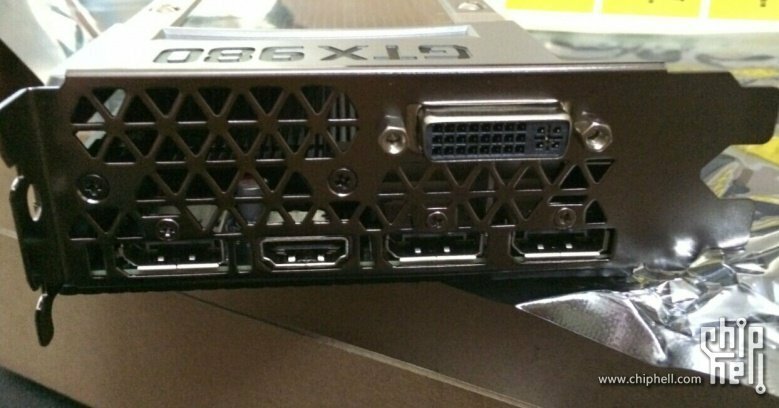 NVIDIA GeForce GTX 980 has five display outputs: DVI, HDMI, and three DisplayPorts. 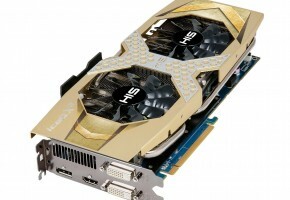 We heard that GTX 980 and 970 may feature HDMI 2.0 support, but we were unable to confirm it. The power section has been redesigned. 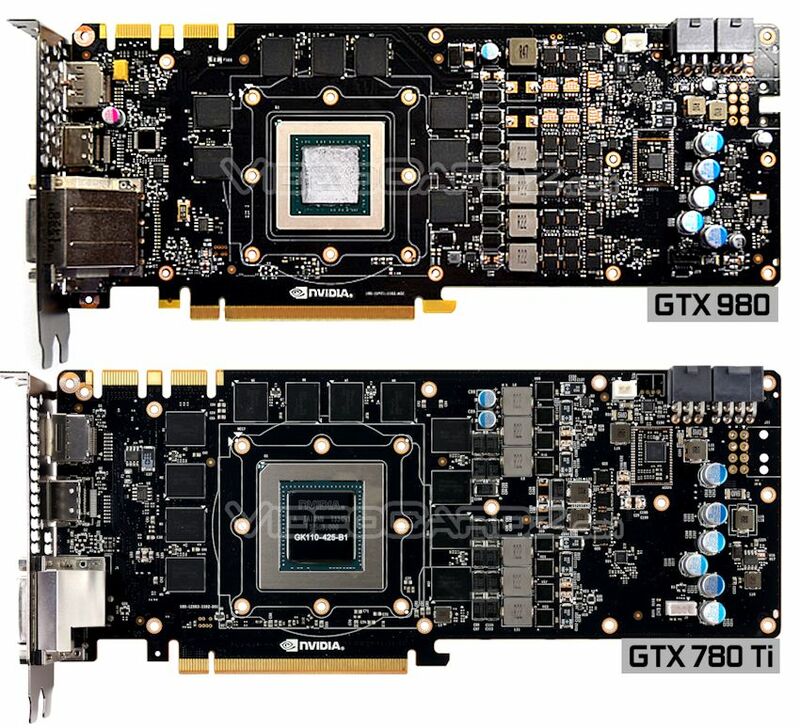 GTX 980 has 5 GPU phases (780 Ti had 6), but the VRM has been greatly improved. Anyway, it’s late, so enough talking, have a look at the PCB, you can also see the new bracket (which looks similar to TITAN Z).